Good leaders must become what they want their followers to become. What you value determines the principles by which you measure your behavior. When a goal matters enough to a person, that person will find a way to accomplish what at first seemed impossible. Goal-setting illuminates the road to success just as runway lights illuminate the landing field for an oncoming aircraft. The price of discipline is always less than the pain of regret. Books, audio programs and DVDs designed to provide the strategies and tactics to face tomorrow's challenges with creativity and knowledge. Dr. Qubein is a proven business leader who is also an effective speaker - not just a speaker who knows something about business! Nido Qubein is a keynote speaker, seminar leader, corporate consultant, successful businessman, and author of many books and multimedia learning systems. From effective communication to sales and management training, a full list of free learning resources at your fingertips. 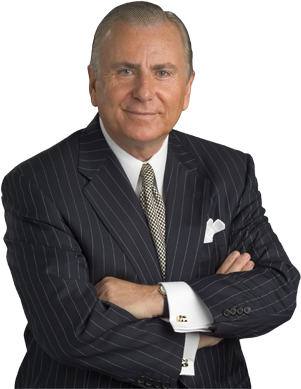 Since 1974, Nido Qubein has given more than 5,000 presentations, received every award in professional speaking and is represented by the best speaker bureaus. He is considered both a motivational speaker and a business speaker with a range of topics covering everything from time management to branding. Nido Qubein has written more than a dozen books on leadership, sales, communication, reculturing organizations and achievement; recorded scores of audio-visual learning systems; and hundreds of client-customized products. Nido Qubein is the president of High Point University, a liberal arts institution with more than 4,600 students at campuses in High Point and Winston-Salem, North Carolina . The university offers 50 undergraduate majors, 42 minors, and seven graduate-degree programs. It is accredited by the Commission of Colleges of the Southern Association of Colleges and Schools, and is a member of the NCAA, Division I.
Nido Qubein serves as advisor to some of America's best corporate leaders sharing his extensive business acumen and entrepreneurial spirit to help their companies grow and thrive. He is Executive Chairman of Great Harvest Bread Company (220 stores in 43 states). He serves on the Executive Committee and Board of BB&T, a Fortune 500 company with over $230 billion in assets, the corporate board of La-Z-Boy Corporation, one of the world's largest and most recognized furniture retailers. As a professional speaker, he encourages businesses and organizations throughout the world on how to improve their vision and achieve success. The National Speakers Association named its Philanthropy Award for Nido. His home city (High Point, N.C.) named him Philanthropist of the Year, as did the Triad Association of Fundraising Executives. The Qubein Foundation has awarded hundreds of scholarships to students across North Carolina and the country. He has chaired many campaigns to help non-profits, and lives by William Barclay's mantra: "Always give without remembering; always receive without forgetting." Nido Qubein invests one-third of his life in earning, one-third in learning, and one-third in serving. He is chairman-emeritus of the National Speakers Association Foundation, and is a former trustee on the national YMCA Board of Directors. Over the years, he has served on more than 30 voluntary boards including the High Point Community Foundation and the National Board of American Humanics. The list of awards and recognitions Nido Qubein has received is long. It includes The Cavett, Ambassador of Free Enterprise, The Ellis Island Medal of Honor, Citizen of the Year, Distinguished Alumnus, The Golden Gavel, Master of Influence, Business Leader of the Year, High Point Citizen of the Year, Horatio Alger Award for Distinguished Americans, The Order of the Long Leaf Pine (North Carolina’s highest civilian honor) and literally dozens more.